Pepper steak is a simple, delicious dish that takes less than 15 minutes to prepare. It makes a wonderful main meal, as well as tasty (leftover) pepper steak wraps for super fast lunches during the week. The trick to getting perfect tender pepper steak comes in the preparation! When slicing the steak, always cut it thinly across the grain, rather than With the grain. This breaks down the muscle fiber and helps tougher, often cheaper cuts of meat, to be considerably more tender and less chewy. If you’re following a Keto diet, you’ll need to make a couple light substitutions. You can use 2 Teaspoons of Glucomannan Powderor 1 Tablespoon of ground flax seed as a substitute for the cornstarch. Glucomannan powder is zero carb, zero calories, completely tasteless and is considered to be probiotic. Unlike cornstarch, Glucomannan should be mixed with HOT water, where it will rapidly form a thick gel. Keep in mind, if you’re new to cooking with Glucomannan that it thickens better than cornstarch and you’ll need considerably less of it, about 1/4 teaspoon for every 2 teaspoons of cornstarch called for in a recipe. When cooking the bell peppers, be aware that they should still have a light crunch to them, you want them hot, but never mushy. The longer vegetables are cooked, the more the fiber within it is broken down. If you cook them until they’re mushy, they contain more carbohydrates and little, if any, remaining fiber. In a small bowl mix cornstarch, broth and soy sauce (or, if you’re following a Keto or Whole30 dietary plan, use Coconut Aminos) until smooth; set aside. Heat oil in a large skillet over med-high heat. Add the Steak strips and cook until just slightly pink. Add peppers and onions and saute all together for 2 minutes. Stir in garlic and seasoned broth mix, Bring to a boil; cook and stir for 2 minutes or until thickened. Sprinkle liberally with freshly cracked black pepper, to your taste preference. This serves 3 people as is, or a family of 4 if served over rice, noodles, quinoa or mashed potatoes. (None of which are particularly Keto Friendly). Melissa Burnell, known to her friends and fans as "Liss," grew up in Southern Maine, now residing in sunny South Carolina. 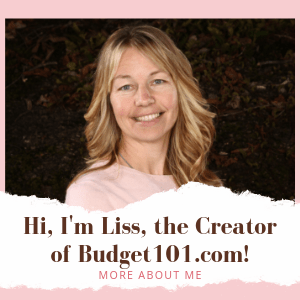 As a busy Wife, Mother of two sons, an avid photographer, and self-employed entrepreneur, Liss understands the value of both time and money. Slashing the cost of groceries can happen today!